The latest LE collection from MAC launched this week, I was lucky enough to have Thursday afternoon off work so made a stop off at Westfield on my way home and perused the collection. 1. The velvet rope queuing system – making people wait outside when there are less than ten people in store? Is it necessary, I asked the lady guarding the door why and she explained that it was so there were enough staff to be able to look after customer, but as I could see it was at a ratio of around 1:1, which seemed a little much. Especially when there are people like me know just wanted to browse and decide what I wanted on my own. 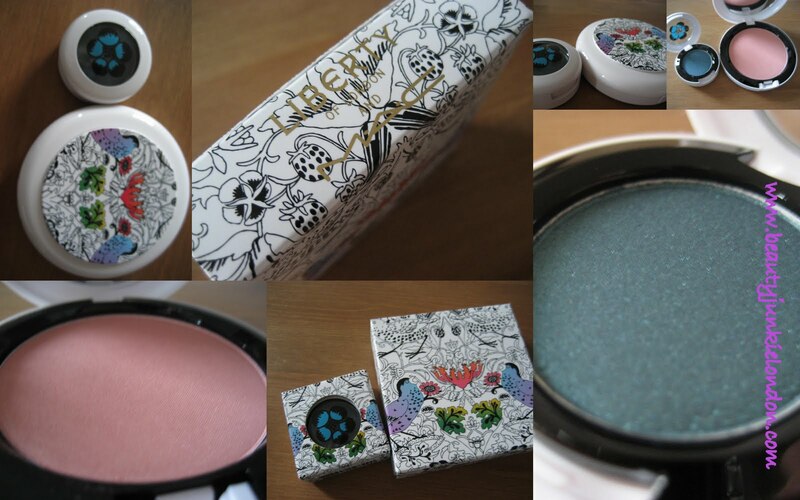 Anyway, my whinges aside I decided to get the Shell Pearl Beauty Powder and Birds and Berries eyeshadow. I had thought I was going to get the blue nail varnish, but decided against it – I don’t think it would suit my skin tone and I already have more than enough nail varnishes. The Birds and Berries eyeshadow is the first non-neutral eyeshadow I have from MAC, when looking at the stand I was immediately drawn to it. A gorgeous shimmering blue, I’m hoping I will make this work but still deciding what colours it would work best with. In other news, last month I also picked up the much-raved about Ripe Peach blush ombre but it has sat languishing in it’s packaging ever since. I love the look of it, but haven’t quite managed to reach for it yet. I’m not sure if this is just because it’s too pretty, or just because I don’t know if it will work for me so may consider not keeping it. I have been reading mixed opinions about it and still not made up my mind. I bought these myself. All opinions are honest. Much as I love the packaging, there’s not really anything I want from this collection, (except maybe Birds & Berries). I know what you mean about the store, I think sometimes MAC believes its own hype a little too much…. I got a couple of things from this collection but missed out on Birds and Berries as it was sold out. Gutted about that but the other eyeshadows I liked. I got a lipstick too but I dont think i like it much.